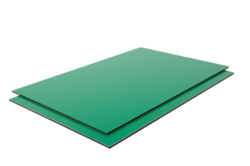 Our range of products comprises of premium quality ACP Sheets. These sheets are available to clients at highly reasonable prices. We have gained a remarkable position in the market that is involved in offering Aluminium Composite Sheets.